~ Tugged engineers at Crowthorne.~ A early start at Cholsey Manor Farm ~ Road & Railand a MPV leaf buster ~ Double and triple headers ! 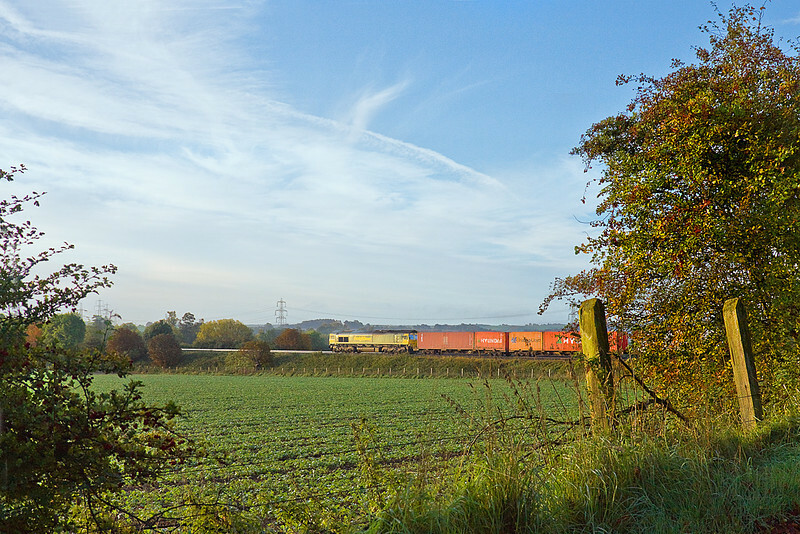 7th Oct 10: 66570 passes Manor Farm in Cholsey with 4O18 from Lawley Street to Southampton. It later returned north on 4M61 to Trafford Park.